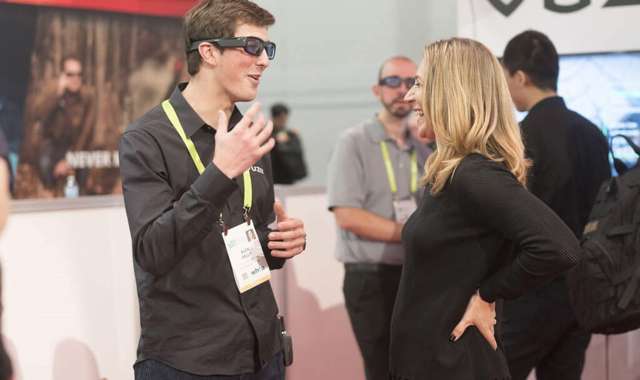 At CES 2018 in Las Vegas last week, Vuzix debuted the Vuzix Blade, AR smart sunglasses that are the result of years of research and are based on the company’s proprietary waveguide technology. The glasses work via a tiny LED projector in the temple area of the glasses that shoots an image sideways into the lens. The lenses are laser-etched with dots at different depths that “catch” the projected image and illumine it in the wearer’s field of view. When the AR functionality is turned off, the glasses look ordinary. 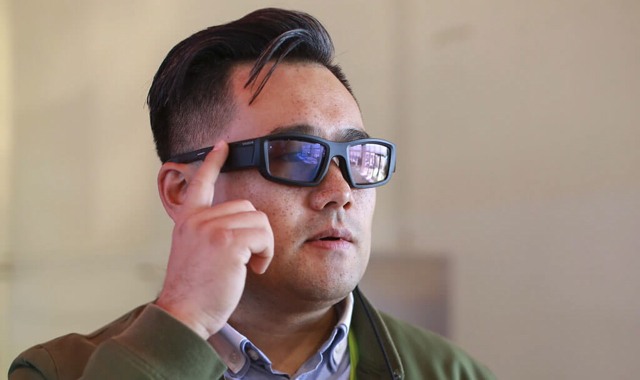 Digital Trends reports that, “the same tech appeared in last year’s AR3000 smartglasses, but Vuzix marketed those more toward businesses.” The user will see the “ghost effect” of “something seen only in one eye” when the display is turned on, but when the user “looks squarely at the image,” it comes into focus. The Vuzix Blade develop kit currently costs $1,997, but Vuzix, which owns the patents for the display may also license the glasses to other companies. Elsewhere, four International CES Innovation 2018 awards went to Vuzix Blade, in areas of Fitness, Sports and Biotech; Wireless Handset Accessories; Portable Media Players and Accessories; and Computer Accessories.